Oh Chirashizushi….how do I love thee? 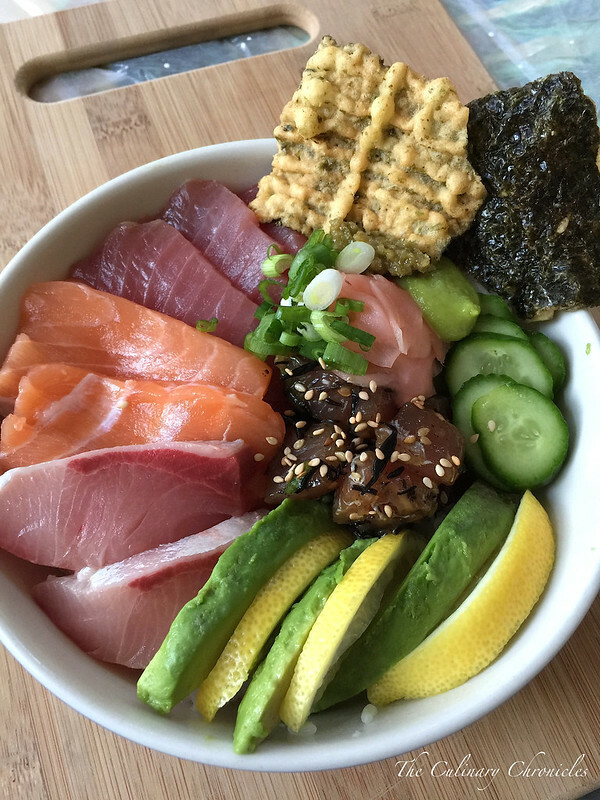 Fresh fish, veggies, pickled ginger, wasabi and perfectly cooked sushi rice—-all mixed up in a bowl. Chirashizushi (ちらし寿司) or chirashi, translates to “scattered” which is one of the beauties about this dish. As much as I love sushi rolls and nigiris, this gal can get terribly lazy sometimes. So to be able to throw all the ingredients that I love in sushi into one bowl is just genius. 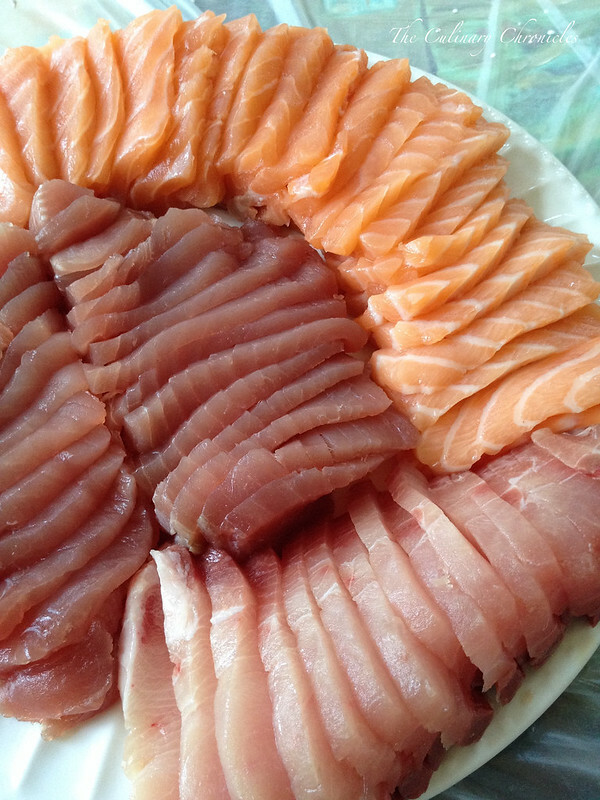 I had been up at my seester’s place one weekend when we decided to pop into a local fishmonger we had discovered some time ago– Dry Dock Fish Company. It’s a smaller little shop, tucked away in Fullerton. But if you’re in the area, you must check it out because it’s an absolute gem. I contemplated writing out a recipe for chirashi but I felt kind of silly doing it. 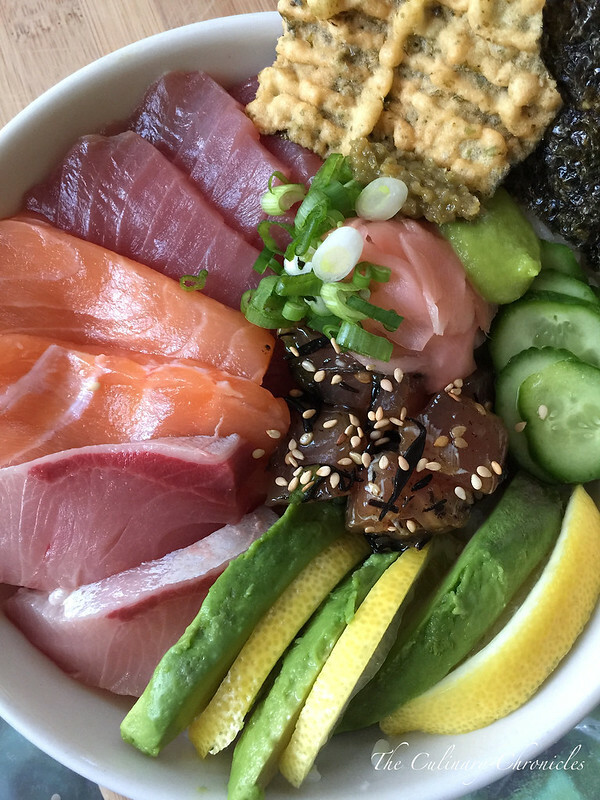 Make-at-home chirashi is all about using whatever types of fish that tickles your fancy. The chirashi pictured above has slices of ahi, hamachi, salmon, spoonfuls of ahi shoyu poke that I whipped up, avocado slices, lemon slices, lightly pickled Persian cucumbers, wasabi paste, scallions, gari (pickled young ginger), yuzu kosho (yuzu paste), nori crackers, and of course–sushi rice. I wholeheartedly agree with you on that! ❤ Have a great day!! !